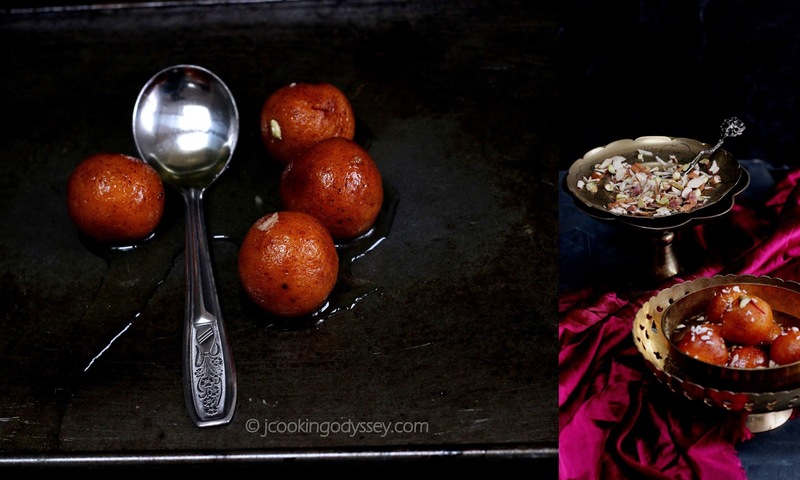 Jagruti's Cooking Odyssey: Shakkarkand aur nariyal / Shakkriya Jamun - Deep Fried Sweet Potato and coconut balls in an aromatic sugar syrup !! Shakkarkand aur nariyal / Shakkriya Jamun - Deep Fried Sweet Potato and coconut balls in an aromatic sugar syrup !! Shakkarkand Jamun, I am afraid they are addictive and highly irresistible , there are no words to describe that these sinful sweet potato balls of sweetness are clear aroma of saffron and kewra water, they instantly melts in your mouth giving you sensational pleasure ! This delectable and magnificent sweet potato jamuns were on my long list of "things to do". Few months back I saw this recipe on one of the Indian cookery show and immediately I recorded that programme on my sky HD box. On one hand it was my heart's desire to attempt in making these but my mind took over my heart and kept pushing it back, as these deserve to be made on special occasions to adorn the dining table with variety of other delicacies. 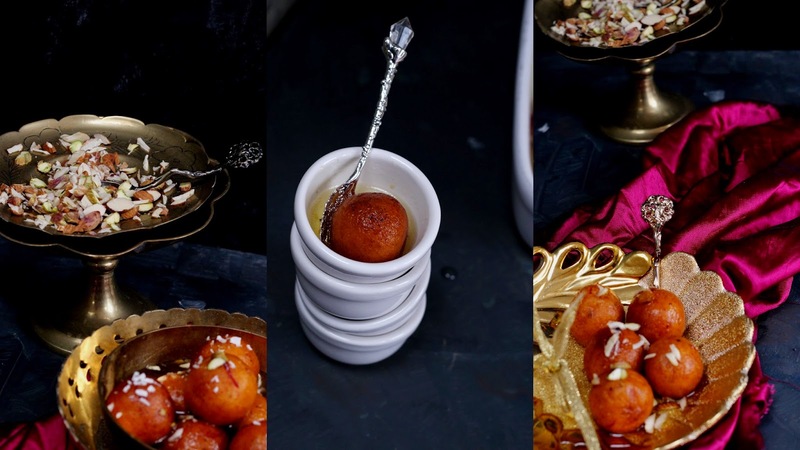 Traditional Gulab Jamun, most popular Indian dessert vanishes in no time in my house, somehow I haven't prepared Gulab Jamun for more than two years now, past few weeks husband was craving for them and I was playing deaf ! God knows, but must be his lucky stars that finally I came to know that my Dad recently had some of these in India and it prompted me to make these on the next on coming celebration. 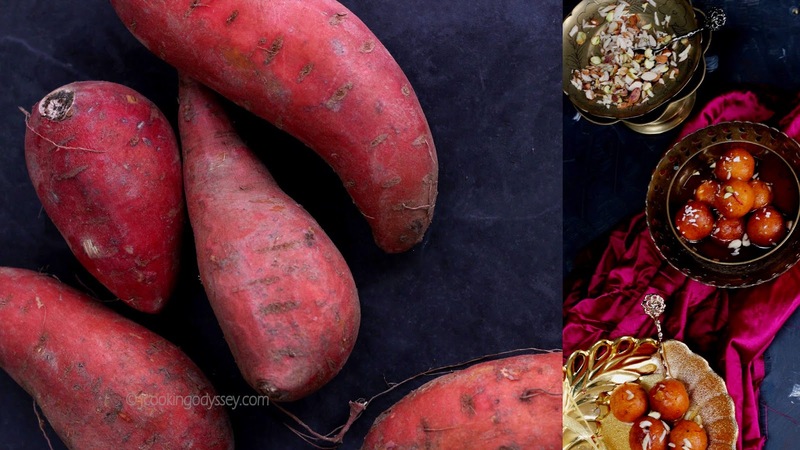 Instead of the Gulab Jamun, I chose to make the sweet potato jamuns as an alternative. A perfect opportunity for me to experiment as these days there are loads Sweet Potatoes on the table. Sweet Potato Jamuns are originally a Bengali version of Gulab Jamun, lovingly known as Mishti aloo'r Pantua or Ranga aloo'r Pantua. Before making them I googled to find out more about this recipe and found few versions of it, also I came to know that this recipe can be prepared with or without any dairy products and they can be filled with nuts or milk solids ( khoya ). Whenever there is a experiment on a new dish in the kitchen , my panicky side appears and bugs me. What the taste willl be ? will family like it ? or my effort and money will go in vain ? as I have three great food critics in the family, however they always encourage me. But I did my happy dance when Husband indulged in more than 5-6 of them in one go and that too without any spoon before he was satisfied and when daughter not only enjoyed them in her dinner, she gobbled them for breakfast too and of course I packed some for her University too. A sense of glorious Joy ! 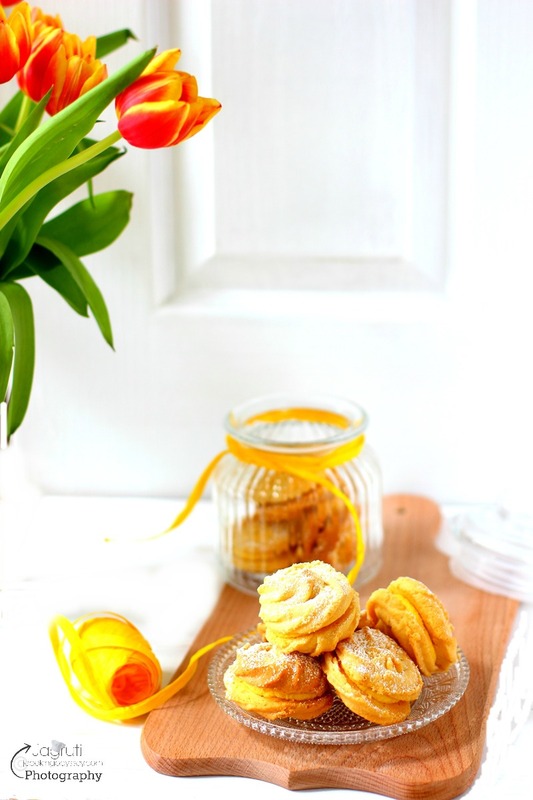 they were beautifully soaked in and infused with saffron and kewra sugar syrup, staying so soft and fluffy ! I added little bit of twist in this original recipe, with a little desiccated coconut along with crushed nuts in making balls and in sugar syrup, in went some Kewra ( Pine screw ) water instead of rose water. Instead of boiling sweet potato, I microwave them without any water, reason for doing this that sweet potato are almost without any moisture thus less plain flour goes in the dough. The flavour of kewra added is so A M A Z I N G ! that's how my daughter described. Crunchiness of the nuts and flavour of the coconut was beautiful, almost took away all the heaviness and felt little lighter on the stomach too. Overall everyone in the family gave thumbs up and request came from 'The Husband' of when can we have again..? what???? I am playing deaf again !!!! Unquestionably , sweet potato jamuns have already won our hearts , absolutely they are a thing of joy and jubiliation ! Place sugar and water in a big pan and bring it to boil. After 10-12 minutes syrup will get it little thicker. The syrup is done when , while dropping from a spoon it falls in a thin single thread. Turn off the heat and add cardamom powder and saffron. After it comes to a room temperature add kewra water to it and leave it aside for later use. Wash sweet potato thoroughly and pierce with fork or sharp knife. Place them on a M/W proof plate and cook 12-15 minutes or until the flesh is thoroughly cooked and tender. Let it cool little and remove skin, mash them with a potato masher or by hand. Sweet potato mash should be without any lumps. Now add all the other ingredients except oil. Leave it aside for few minutes, once again knead the dough for a few seconds. Now make a golf size balls of even size. Switch of the heat and cool a little. let it soak for 6-7 hours and serve. Lovely! I am drooling Jagruti... Some great pictures in this post.